This holiday season we’d like to thank our customers for your loyalty, our vendors for your support, and especially our Sunland associates for their continued hard work and dedication to continuously improving. 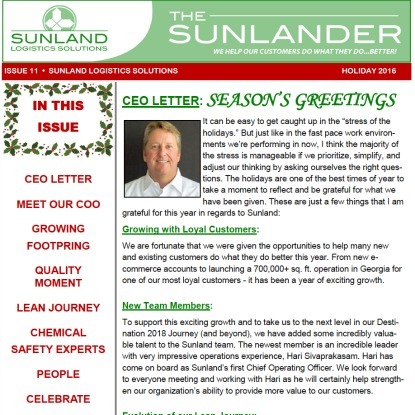 Please click here to enjoy our Holiday 2016 Sunlander Newsletter! We look forward to what 2017 has in store for us.